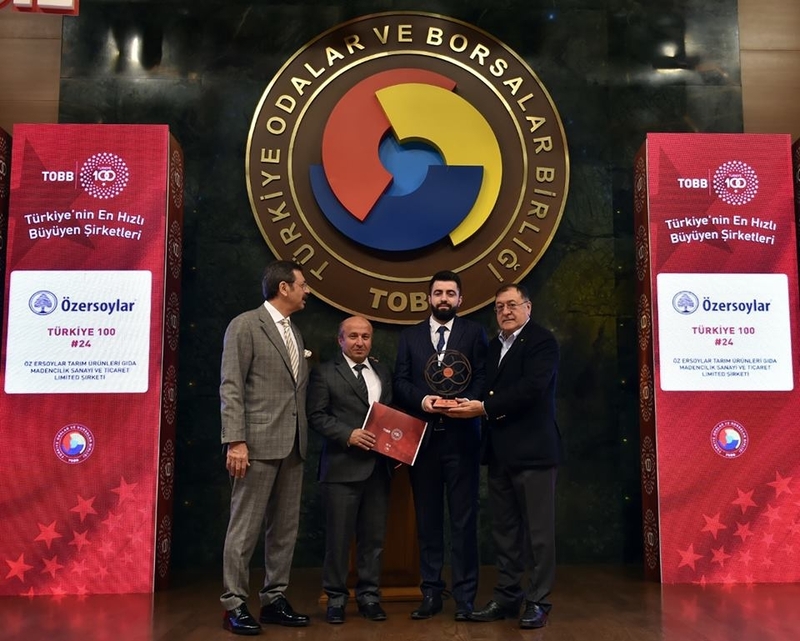 Every year, Turkish Union of Chambers and Exchange Commodities (TOBB) & TEPAV organizes "Turkish 100" award ceremony. This year we were ranked 24th. Award was presented by TOBB President Rifat Hisarciklioglu, Secretary of Agriculture Arif Parmaksız and Nevsehir Chamber of Commerce President Arif Parmaksiz to Özersoylar board member Mr. Fatih Ersoy.